Patented…one end permanently attaches to the cable…the other end has a pull tab to release the Rip-Tie with one hand. Durable, made of the best quality hook and loop touch fastener…tested for 10,000 closures with no loss of holding strength. 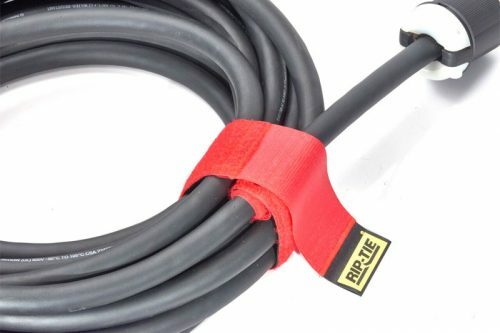 Used in many industries and in the home….wherever it is important to secure cables, keep them organized, and eliminate cable safety hazards.